One near-beer pioneer is Heineken, which launched alcohol-free Heineken 0.0 this summer in Europe and Israel. Usually, it didn't taste very good, which was especially disappointing for Stevens — a beer buff who did marketing for booze companies. 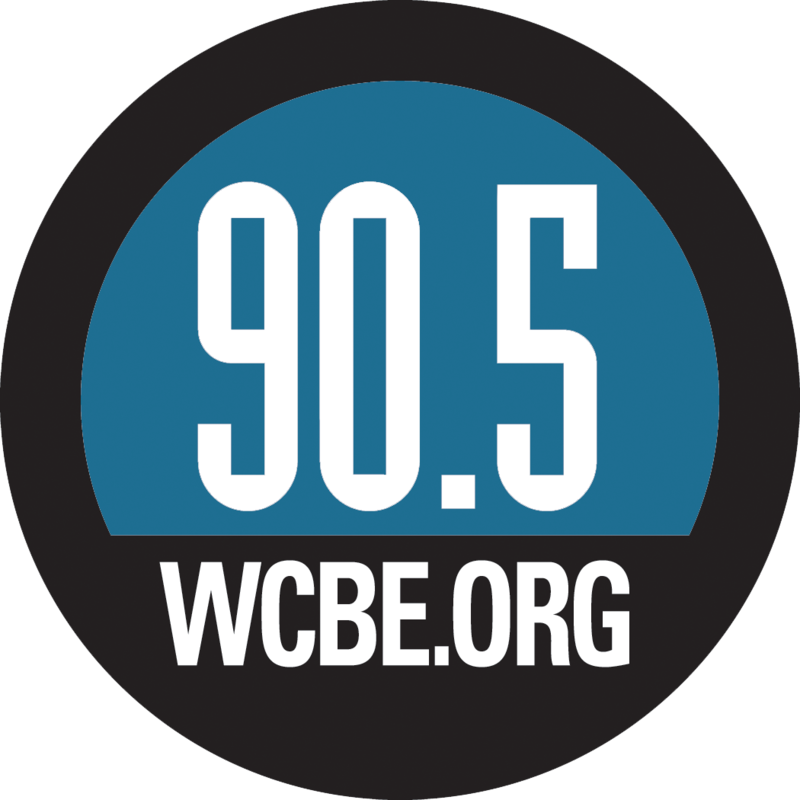 "There's this craft beer explosion happening all over the U.S., but no one is making non-alcoholic versions," Stevens says. So he decided to do it himself. He started Wellbeing Brewery in Missouri last year, and he's planning to debut his first two beers — an amber and a wheat — in January. Stevens is a bit ahead of the curve in the U.S. — where most non-alcoholic beer on offer is the same limp, tinny stuff that first came out in the '80s, their only real selling point being the fact that they had less than 0.5 percent alcohol by volume. But alcohol-free beers are catching on in the UK, Europe and Canada, and specialty brewers and big brands alike are using new techniques to create new varieties of flavorsome booze-free brews. Even in London — where I'm based, and where the pubs fill up by 4 p.m. — it has become increasingly common to find non-alcoholic craft ales stocked alongside classics. And they're almost suspiciously good. When I bought a Nanny State beer, from the Scottish brewery Brewdog, for a friend of mine — a professional chef — he slurped it down without noticing it was alcohol-free. Even after I told him, he happily finished it. "There's no real reason you can't make great quality non-alcoholic beer," says Rob Fink, whose Big Drop Brewing Co. in Berkshire, England, only makes beers with an alcohol-by-volume (ABV) lower than 0.5 percent. Most non-alcoholic beers you'd find 20 years ago were made by boiling the ethanol out of normal brews. "The problem is, when you heat beer, you change its flavor," Fink explains. "You destroy a lot of its delicate aromas." Some of the newer, better alcohol-free beers are created through a process called "arrested fermentation," Fink says. That's when you stop the brewing process before the yeast has turned the sugar into alcohol, usually by cooling things down to where the yeast falls dormant. But beers made this way were a bit too flat and sweet for Fink's taste. "At Big Drop we use a combination of different techniques to reduce the alcohol content of our beers," Fink says. The process begins with less grain than traditional beer recipes, "because less grain means there's less sugar for the yeast to convert into alcohol," he says. The company also uses what Fink calls a "lazy" yeast — "a strain of yeast that's particularly slow at converting sugar into alcohol." And the beer is brewed at a higher temperature, at which point the lazy yeast begins to act even lazier. Finally, at the very end of the brewing process, a bit of lactose is added to give the beers extra flavor and body. There are other ways to reduce beer's alcohol content that Fink isn't using. At Wellbeing, Stevens uses a process called "vacuum distillation." This means he heats up alcoholic beer in a vacuum, very gently, at low temperatures. So "the beer hardly even notices" that the alcohol is evaporating, Stevens explains. He also uses high-tech equipment to capture any aromatics that try to escape during the heating process, and adds them back in at the end. Other brewers, including Germany's Clausthaler, use reverse osmosis, which more or less filters the alcohol out of the beer. Different techniques work best for different styles of alcohol-free beer, Fink says. Fink, who decided to cut back on alcohol three years ago after the birth of his first child, quit his job as a lawyer to start Big Drop in 2016, mostly because he was craving non-alcoholic versions of the craft stouts he loved. "There are good European — German and Czech — alcohol-free options that I managed to find," he says. "But none of them were stouts." Fink says that he didn't start the company because he identified a trend, "but it's been sort of a happy coincidence that this has become one." 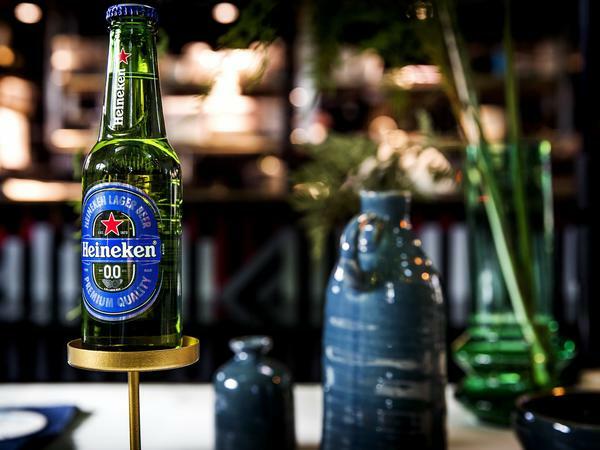 Joining the growing group of near-beer pioneers is Heineken, which launched alcohol-free Heineken 0.0 this summer in Europe and Israel. My boyfriend and I were more than a bit skeptical when we picked some up from our local supermarket. "Not as bad as I thought it would be," is his verdict. "It tastes like a mix of lager and grape candy." It definitely doesn't taste like a regular Heineken — but that's exactly what Heineken brewers are going for, says spokesperson David Pugh. "Removing alcohol from regular 5 percent Heineken," he writes in an email, "wouldn't deliver the best tasting non-alcoholic beer." Instead, the company uses a mix of two brews with different flavor profiles, removes the alcohol and then adds in a proprietary blend of flavors at the end. At this point, neither Heineken nor Budweiser — which released a non-alcoholic brew called Prohibition in Canada last year and the in UK this Fall — has plans to to sell their alcohol-free options in the U.S. But as Reuters reported last year, AB InBev, the company that owns Budweiser, predicts that low-alcohol and alcohol-free beers will make up 20 percent of its sales by the end of 2025. That prediction is well founded, says Jonny Forsyth, at the global market research firm Mintel. "Non-alcoholic beer has really risen in Europe, especially in Germany and Spain, to the point where it's become a mainstream option," he says. The German beer company Erdinger was one of the pioneers of a movement to make better non-alcoholic beer in the early aughts, Forsyth says. Now, it's "Alkoholfrei" beer is ubiquitous in central Europe. And for the past few years, Erdinger has been heavily marketing its alcohol-free beer as a sports recovery drink. Most German beers have traditionally had ABVs between 4 and 5 percent, Forsyth says — so the move to .5 percent ABV wasn't too hard to sell there. The craft beer scene in the U.S., on the other hand, is ruled by super-strong Imperial Ales and tripels, Forsyth says. "There seems to be this idea that high ABV means high quality." But he predicts that's going to change over the next few years, "especially because every time I look at the younger generation, I see they're so much more health aware." That's what Stevens at Wellbeing is banking on. "Of course my potential market is people like me — who are sober — and also pregnant women," he says. "But there are also people who do drink. And maybe they're out at a bar and they've had a couple, but they want to keep hanging out and watch the game, and they're looking for something else to drink — that's where I can offer something."